Snow & Spring; not the idealic alliterative pair any of us would dream to be evident in the climate at this time of the year, but it seems as though the unpredictable English (and other parts of the world) weather has struck again, but as this is a fashion blog, I've brought to you a spring trend which you can sport during spring even if it does still feel like winter. 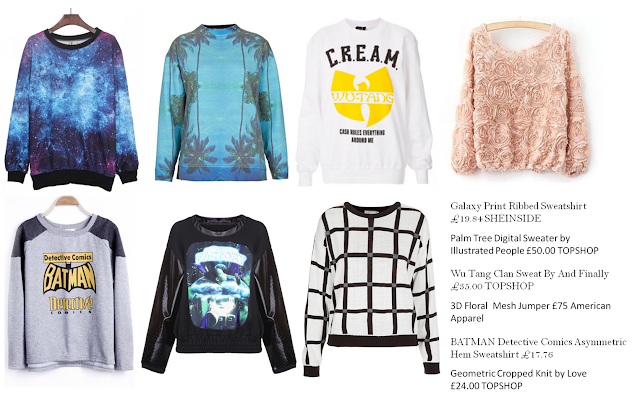 It came to my knowledge that sweatshirts and jumpers have a bad press and posses connotations of being worn during partaking in physical activity or whilst lounging around the house, or in Naomi Clarke's from 90210's case, when moping around after boy related drama, so I just had to scour online high street stores to bring you a selection 7 amazing jumpers & sweatshirts to relinquish from any naysayers minds that these items of clothing are anything fashionable. Above I've also featured some lovely ladies sporting the trend like pros as some inspiration. 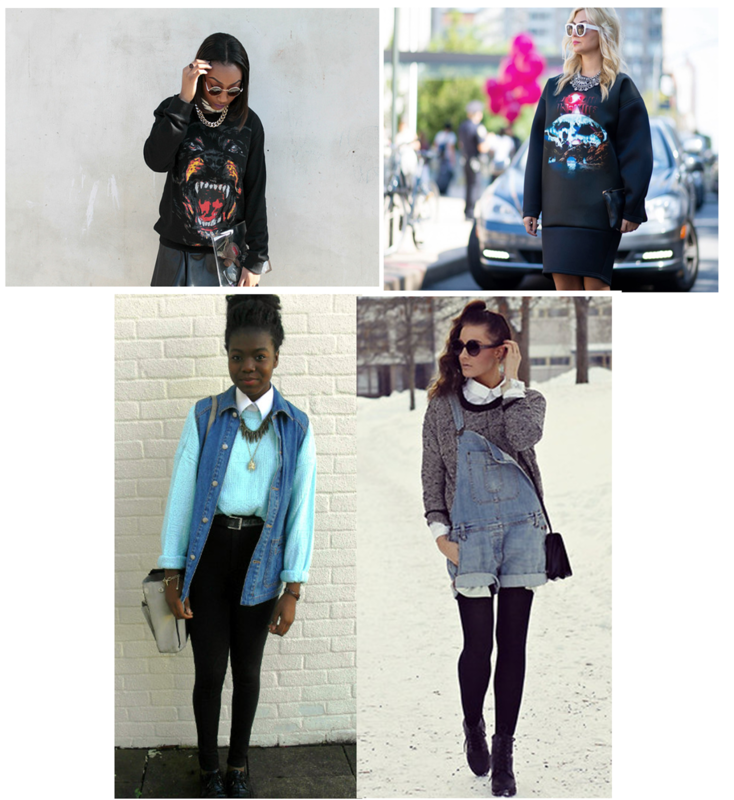 Inspiring outfits! I really like it!